The National Quality Forum received two years of funding in the latest federal budget passed early Friday. NQF has waited more than four months for the congressional authorization, which accounts for roughly 70% of its total budget. The organization has been operating since Oct. 1 on previously authorized but unspent funds that the CMS awarded to the NQF for new projects. The Washington, D.C.-based nonpartisan organization is granted federal support through the Social Security Act because it assists government agencies, including the CMS, with quality measures for various programs. The Bipartisan Budget Act of 2018 guaranteed the NQF funding from October 2017 to September 2019 at "levels consistent with past authorizations," said NQF President and CEO Dr. Shantanu Agrawal in a statement. The NQF typically receives $30 million per year. The NQF has been a critical resource to the CMS in recent years as the agency tries to reduce low-value, burdensome quality measures. Last year, the NQF suggested the agency remove 51 of 240 measures. And last week, the NQF sent its recommendations to the HHS on 35 measures under consideration to add to its payment programs. The NQF's Measure Applications Partnership showed "varying degrees of support" for all of the 35 measures but one. Leaders from various healthcare organizations publicly spoke in favor of continued federal funding for the NQF as it awaited authorization. 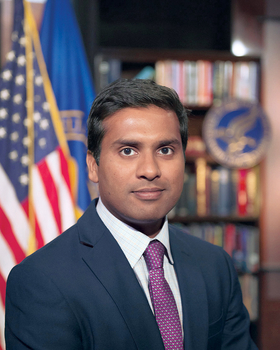 Agrawal said in a September interview with Modern Healthcare that if the NQF wasn't reauthorized funding before the Sept. 30 deadline it would probably be because Congress has a loaded agenda and not because there isn't support for the organization's mission. The NQF historically benefits from strong bipartisan support.